Welcome to Majestic Mountain Country. 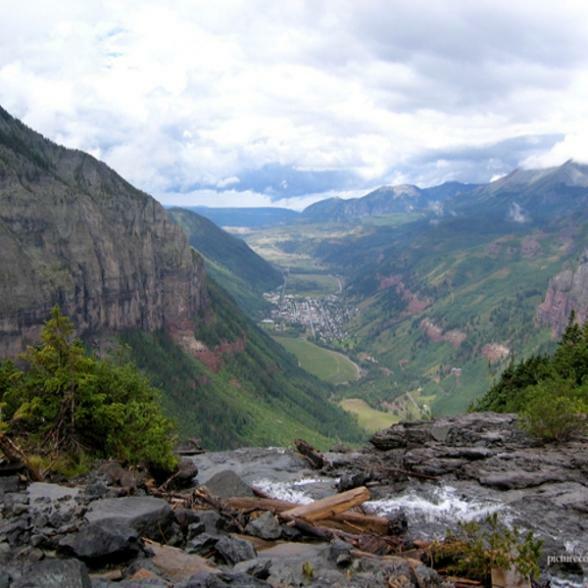 As soon as you’re deep into the landscape, you’ll recognize the inspiration for the John Denver song, “Rocky Mountain High.” On this tour through Colorado, South Dakota and Wyoming you’ll be viewing some of the most majestic landscapes in America including the Rocky Mountains, as well as the iconic Mount Rushmore and many more. Start in style and put the finishing touches to a memorable holiday with our Chauffeur Drive Service. Your smart, uniformed driver will meet you at your door and whisk you to and from the airport terminal so you are guaranteed a stress-free and relaxing journey. You’ll travel in a showroom condition Mercedes E Class for two people or a sumptuous Viano for families or groups up to six. Your Bon Voyage travel consultant has all the details, so just mention if you'd like this option included in your holiday quote. 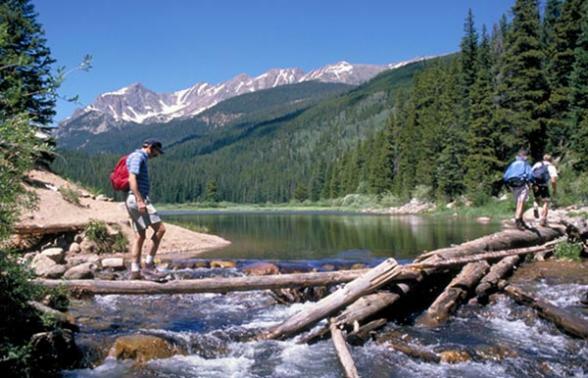 Begun as a gamble when the first flakes of gold were found in Cherry Creek in 1858, Denver was established as the first gold rush camp in the area. It epitomized the legends of the wild, wild west, with gunslingers, gamblers, gold miners, saloons, cattlemen and a sheriff. Very conscious that it was destined to become a major western metropolitan area, the Historical Society began in 1879, little more than 20 years after the city’s founding. Immediately after outlasting several surrounding cities for the title of capitol of the Colorado Territory, Denver began to develop a transportation network, cattle exchange, banking, cultural offerings, grand architecture and energy, working to make itself the thriving, contemporary, world class city that it is today. The 16th Street Mall connects the Colorado State Capitol building with Lodo, the cultural district. The Mile High city gets its name from the fact that the Colorado State Capitol Building, gold dome and all, has a brass cap embedded in the stairway at an elevation of 5,280 feet above sea level, exactly one mile high. The very interactive Colorado State History Museum provides an overview of the state and city’s history. The Denver Visitor Centre, located at 1600 California Street, is chock full of information about the other 38 museums in Denver. One of the most interesting smaller museums is the Molly Brown House of unsinkable Molly Brown fame. When you hear her real story, you’ll quickly realize it’s quite a bit different than the legend. It’s only 70 miles from Denver to Colorado Springs and Pike’s Peak. Standing majestically in the distance; the lofty heights inspired the song America the Beautiful. During the 1850s, Pikes Peak or Bust! became the mantra of pioneers travelling from the edge of the Great Plains through the mountains to a land of new possibilities. The Garden of the Gods is filled with red rock landscapes and Florissant Fossil Beds National Monument encompasses some of the oldest fossilized material in the US. Awesome manmade wonders include the United States Air Force Academy, gold mines, old western towns, museums, the arts, and historic architecture. Couple that with the Cave of the Winds and you’re about to have an adventure that’s up in the air. 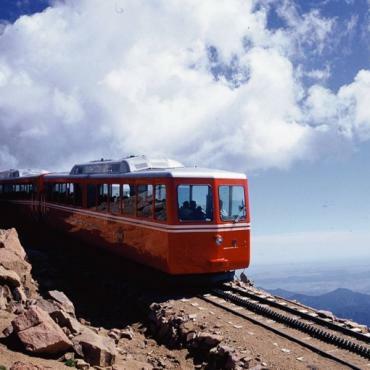 The Peak still serves as a major attraction for visitors who want to travel to the top of one of the highest mountains in the United States by car, cog railroad and even on foot. 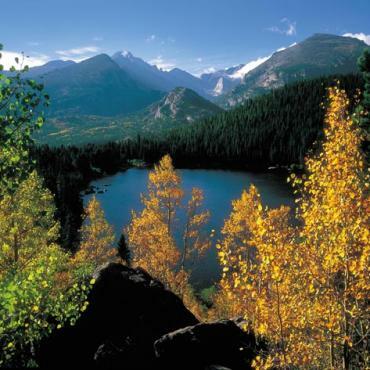 Just north of Denver, Rocky Mountain National Park is a living showcase of grandeur with countless breathtaking vistas ranging from 8,000 to 14,259 feet. You’ll also see delicate alpine flowers, clear lakes, rushing mountain waters, bighorn sheep, ptarmigan, coyote, and elk. There is one major loop road through the park and every square inch is scenic. 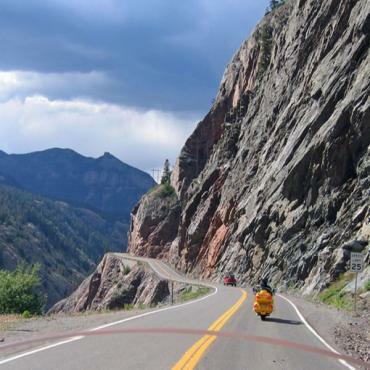 Winding through the forests and mountains of the Rocky Mountain National Park, Trail Ridge Road/Beaver Meadow Road encompasses over 50 miles of beautiful landscapes. Stop at the overlooks that line the byway for magnificent yet different vistas of the Rocky Mountains which tower at more than 14,000 feet. Take a short five-minute stroll at the Forest Canyon Overlook and marvel at the view of Forest Canyon, Hayden Gorge, and Gorge Lakes. Stand on the roof of the Rockies at Rock Cut. Pull over at Rainbow Curve, elevated over two miles above sea level, and see trees transformed by long, repeated exposure to the harsh winds, ice, and grit of this severe environment. 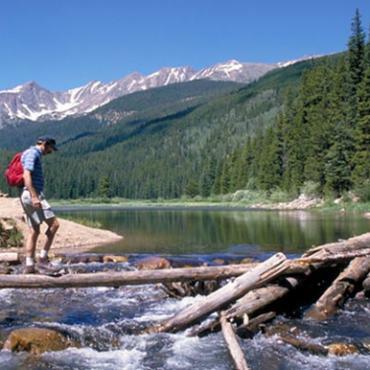 At Milner Pass, the byway meets the Continental Divide National Scenic Trail which crosses approximately 3,100 miles ranging from the Canada-Montana border to the Mexico-New Mexico border. At elevations over 10,000 feet, this trail offers spectacular views of the Rockies and the meadows that lie at their base. 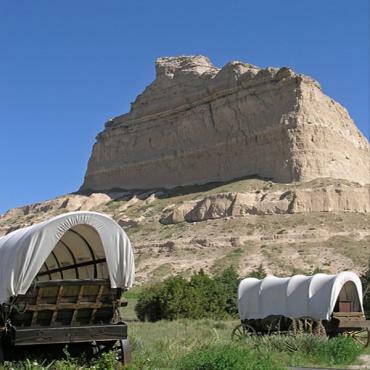 You have the option to visit Cheyenne, Wyoming, where the American West still lives, on your way to Scottsbluff. The Historic Plains Hotel is the perfect home base from which to explore the downtown historic district. There are dozens of historic buildings between the hotel and the Historic Governor’s Mansion. The streets in downtown Cheyenne are so wide that from the centre of the city you can glimpse both ends of the downtown core; the gold domed capitol building that anchors one end and the Union Pacific Depot on the other. Once you reach Scottsbluff, you’ll find the beginning of a very interesting road in the middle of the Midwest. The region, named after the Sandhill cranes that migrate through here, is literally 20,000 square miles of sand dunes, tentatively, as the locals say, covered with grass. They’re more than just sandpiles, they cover the Ogallala Aquifer, the world’s largest underground supply of water. The largest gathering of sandhill cranes in the world—some half a million strong—is a phenomenal sight to see here every spring. Instead of city lights, fence posts, barns, windmills and corn fields are the skyline. This end will be a great place for a wildflower hike, a walk through the Nebraska National Forest, the largest hand-planted forest in the country or a stroll on the actual dunes. 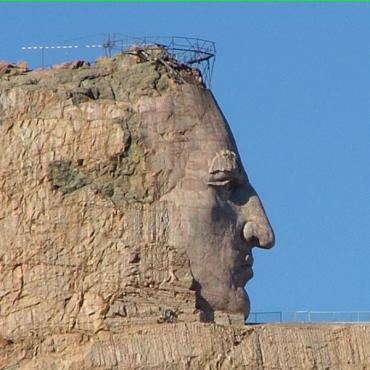 As you near Rapid City, be prepared to be introduced to some of the most unusual scenery in America. The southwest portion of South Dakota was produced by dramatic natural action. Today, sandstone desert landscapes and twisted rock shapes jutting out of the ground are juxtaposed with the dense forested landscape of the Black Hills National Forest, which does, indeed, look nearly black from a distance. The hot springs which dot the area are the result of water pressure being caught underground when the earth changed position. Along the way, you can stop at Mammoth Hot Springs where the remains of mammoth’s are still being found in the sink-hole that turned into a steeply sided pond. Nearby, Jewel Cave National Monument is 135 miles long, making it the second longest cave in the world. Air currents indicate there are vast areas left to discover. 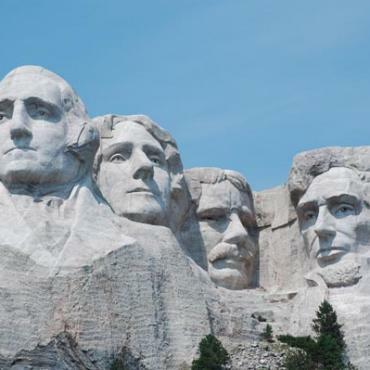 The most dramatic time to visit Mount Rushmore is in the evening for the illumination ceremony. 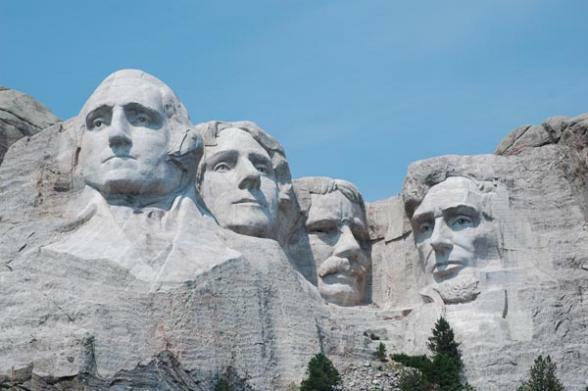 The program includes a short ranger-talk, a film about the four presidents carved into the mountain, the playing of the National Anthem and the lighting of the sculpture. A dramatic end to a day of dramatic visual landscapes. On your way to Badlands National Park, you can take in the Crazy Horse Memorial which is so much more than mountain carving. The Indian Museum of North America has three wings and a cultural centre. From the wild west, it’s on to the devil, Devil’s Tower that is, just over the Wyoming line. The gigantic stump like rock formation rises 1,200 feet over the Belle Fourche River. It was formed by molten material being pushed up from the earth at the same time the Rocky Mountains were formed. 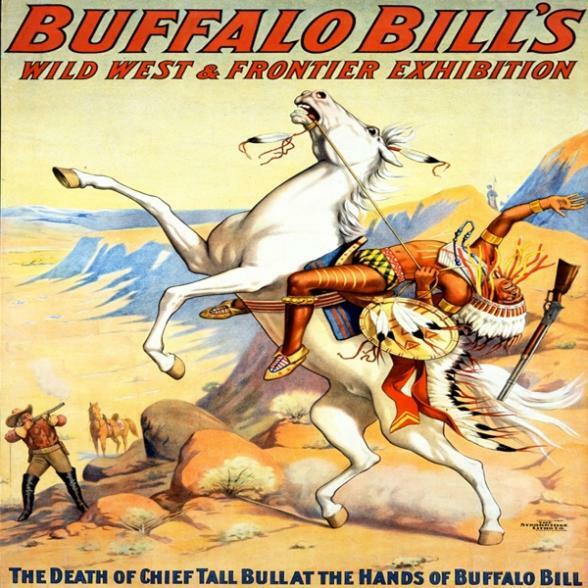 Tonight even if you’re not staying at the Irma Hotel, established by Buffalo Bill in 1902, check out the Western style entertainment on hand nearly every night. It’s hard to describe Yellowstone National Park in words. You have to experience these famous natural wonders. 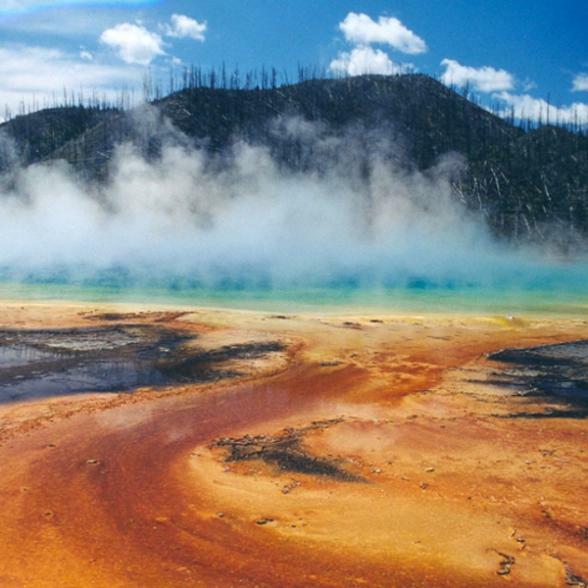 In total, Yellowstone contains over 10,000 hydrothermal features, including 300 geysers, approximately one-half of the world’s total count. Mammoth Hot Springs is very different from the thermal areas located elsewhere in the Park. The surface of the bubbling, boiling springs appears to be covered with white chalk. Norris Geyser Basin is the hottest, oldest and most dynamic of Yellowstone’s thermal areas. Few of the thermal features at Norris are under the boiling point. The hottest recorded temperature here was 459F, just a little over 1,000 feet below the surface. Steamboat Geyser is the world’s tallest geyser. In the Madison Natural Area, thermal action bubbles up in many colours. A one-mile trail takes you through the colourful hot springs and the two large mud pots of the Artist Paint Pots just south of Norris Junction. The Old Faithful Area is actually made up of four different geyser basins surrounding the famous geyser, where 60% of the world’s geyser’s share a small space. There are nearly 150 of these thermal wonders within one square mile adjacent to Old Faithful. 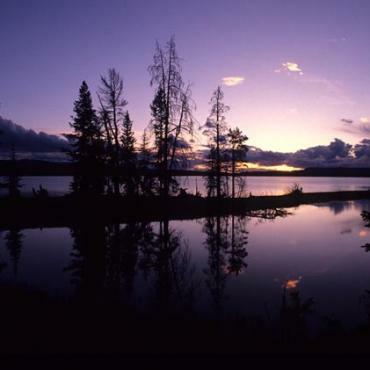 The Grant Village Area and the Lake Area are both adjacent to Yellowstone Lake, the largest lake at a high elevation in North America. More than 7,500 feet above sea level, it has a surface area of 132 square miles and 141 miles of shoreline. It is 20 miles long and 14 miles wide. The deepest portion is in the West Thumb area at 320 feet. 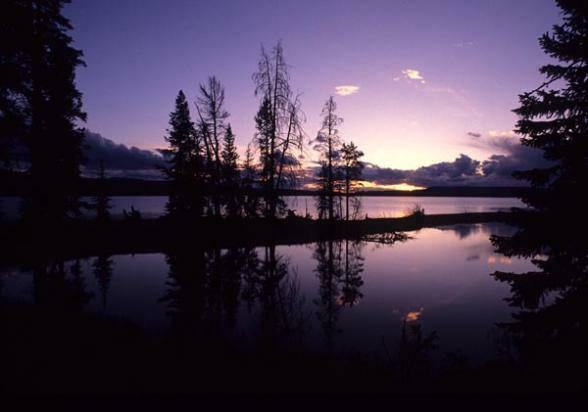 The bottom of Yellowstone Lake has the same terrain as Yellowstone Park, namely geysers, hot springs. A hot spot at Mary Bay got up as high as 252F. Spend one more day exploring this phenomenal natural wonder. 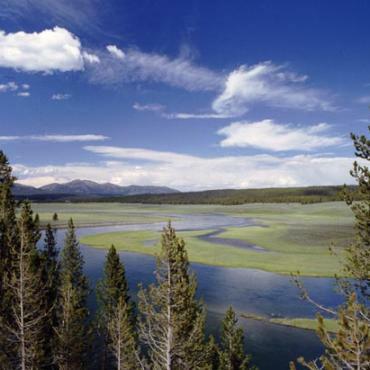 In addition to these very well known natural phenomena, the Grand Canyon of the Yellowstone River is roughly 20 miles long and varies between 800 and 1,200 feet deep. Some falls along the river are 300 feet high. Tower Falls, a 132-foot drop on Tower Creek, is framed by eroded volcanic pinnacles that were documented by the earliest explorers in the region. As you leave Yellowstone, you’ll be driving the John D. Rockefeller, Jr. Memorial Parkway connecting Yellowstone to Grand Teton National Park. If you haven’t seen these mountains before, they are spectacular. 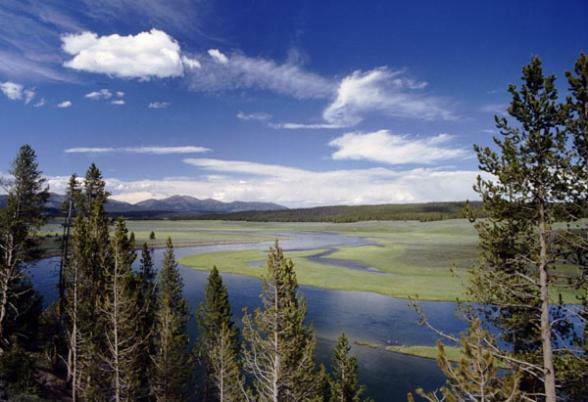 As you drive along Teton Park Road, it becomes immediately obvious why this is a National Park. 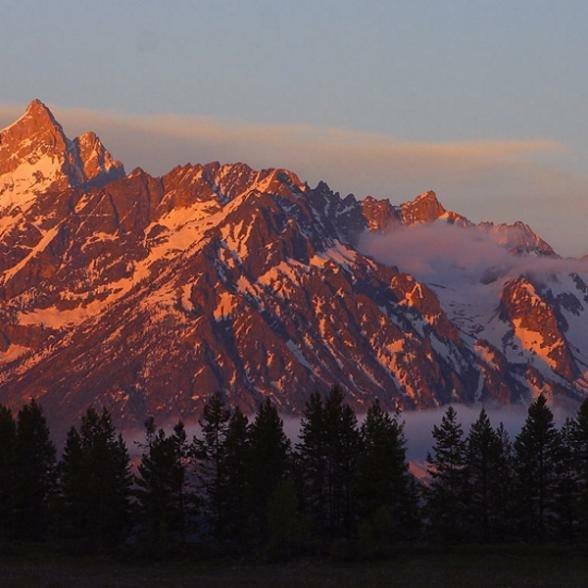 The Tetons are a 40 mile long mountain range that rise straight out of the plain. Twelve of the mountain peaks are over 12,000 feet above sea level and Grand Teton rises to 13,770 feet. Even around Jenny Lake, one of the most pristine lakes in North America, they loom overhead. Three Scenic Drives in the Park are also a must do. The Teton Park Road follows the base of the Teton Range from Moose to Jackson Lake Junction. Jenny Lake Scenic Drive skirts Jenny Lake which is clear, blue and dramatic. Signal Mountain Summit Road gives you panoramic views of the Teton Range, Jackson Lake and the Jackson Hole valley. 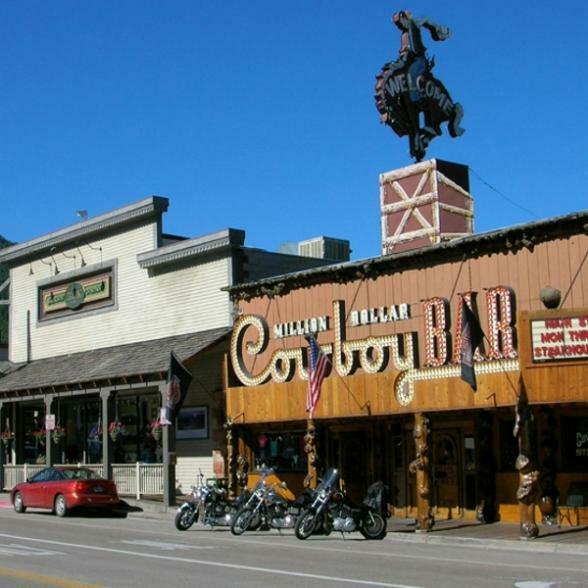 Jackson Hole is the name traditionally given to the bowl-like valley that surrounds the town of Jackson, Wyoming. Rise and shine today, you can have a full, exciting day. 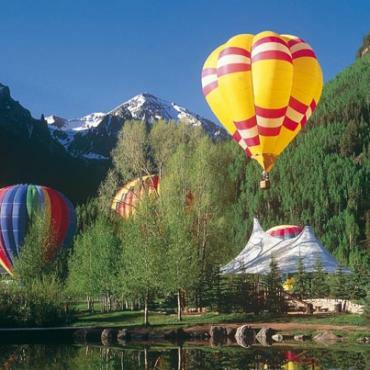 Consider taking a balloon ride over the Teton’s at sunrise with the Wyoming Balloon Company. Although the town of Jackson is sometimes referred to as Jackson Hole, that term actually refers to the natural geography that surrounds the town which is located in a natural mountain basin. For another view, take the Bridger Gondola right in Teton Village which surrounds the Snake River Lodge. From the top at 9,095 feet, the view of both Jackson Hole and the Grand Teton’s are spectacular. Be sure to consider a Teton Sciences School Wildlife Expedition for a 4 hour trip into the back country wilderness that cannot be reached by car or bus. The best wildlife watching is right at dusk. Your guide from Teton Sciences School will be very knowledgeable about the habitats and habits of the wildlife you will be spotting. Near Rock Springs, the Fossil Butte National Monument is located between 6,800 and 8,100 feet elevation in the sagebrush covered hills of rural, southwestern Wyoming. Get ready for wide open spaces, fresh air, blue skies, abundant wildlife and, of course, some of the most incredible fossils in the world. A 7.5-mile scenic drive (3.5 miles paved, 4 gravel) provides another view of Fossil Butte and the surrounding area. Wayside exhibits along the paved section interpret the present-day wildlife and the subtropical environment of 50 million years ago. Farther south, the Flaming Gorge National Recreation Area was discovered on a spring day in 1869 when John Wesley Powell and nine men boarded small wooden boats at Green River, Wyoming to embark on a daring exploration of the Green and Colorado Rivers. Powell and his men slowly worked their way downstream, successfully completing their journey in late summer. It was on May 26, 1869 that Major Powell named the Flaming Gorge after he and his men saw the sun reflecting off of the red rocks. Most of Colorado National Monument rises more than 2,000 feet above the Grand Valley of the Colorado River. Magnificent views from highland trails and the Rim Rock Drive, which winds along the plateau, stretch from the colourful sheer-walled canyons and fascinating rock sculptures to the distant Colorado River Valley, the purple-grey Book Cliffs, and the huge flat-topped mountain called Grand Mesa. Colorado National Monument's varied terrain attracts many animals to live, nest, or hunt within its boundaries. Coyotes, mountain lions, bobcats, and desert bighorn sheep are also seen. Smaller mammals like foxes, desert cottontails, squirrels, and other rodents are often seen scampering off the sides of the Rim Rock Drive or hiking trails. Coming down off the Monument’s roadway, you have the option to proceed through the heart of Grand Junction to follow the Grand Mesa Scenic Byway along the rim of the world's largest flat top mountain and discover all 360-degrees of singular alpine skyline. 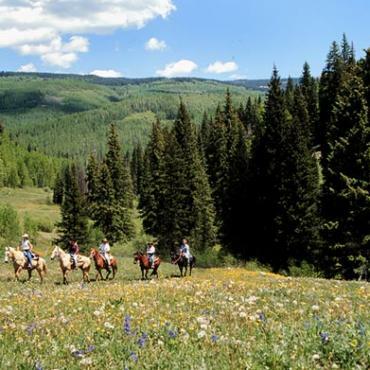 High altitude and clear alpine air invite visitors to look westward to clarion views of the La Sal Mountains, 60 miles to the west in Utah. Highway 141 also leads to the Unaweep Tabeguache Scenic and Historic Byway. Interesting museums in Grand Junction include Dinosaur Journey, which is part of the Museum of Western Colorado and the Museum of Western Colorado. 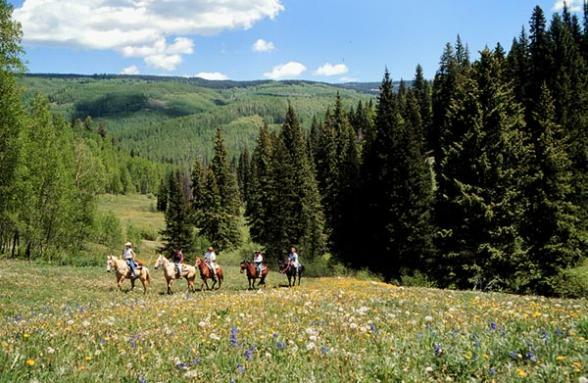 Your Rock Resort accommodations for the evening are located in Vail, once a hunting ground and summer residence of the Ute Indians before the arrival of the white man in the mid-19th century. Irishman George Gore, known as Lord Gore, and American frontiersman Jim Bridger were among the first to venture into the region. From 1854 to 1856, they spent the summers hunting and exploring the peaks. A few years later, Bridger returned to the region and named the mountain range and valley after Gore. 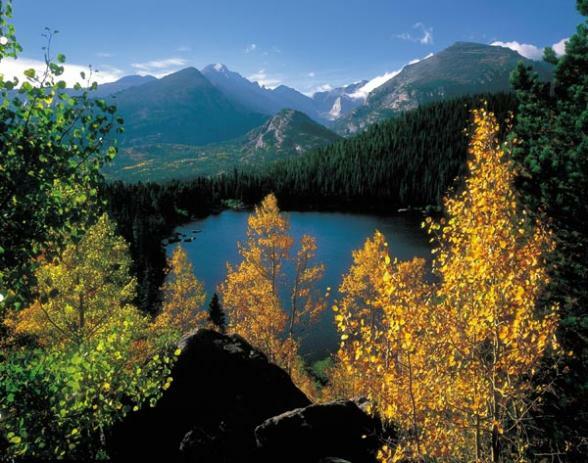 By the 1870s, the Gore Range was attracting fortune seekers for both silver and gold. Mines were set up and railroad tracks laid down to transport the precious metals. It wasn't long before the miners departed and the valley returned to a peaceful home for sheep. In 1939 construction began on Highway 6, running from Denver through the Gore Valley and the rest, as they say, is history. If you explored the Golden Triangle Museum District at the beginning of your trip, today you may want to get out into one of Denver’s great neighbourhoods. The Santa Fe Arts District has Denver’s largest collection of art galleries. 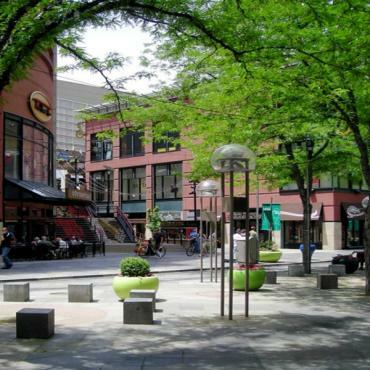 Cherry Creek has the best shopping and dining in Denver. Quaint Old South Pearl Street has a Farmer’s Market every Sunday. The Highlands neighbourhood was recently featured in National Geographic Traveller and Travel + Leisure Magazine. 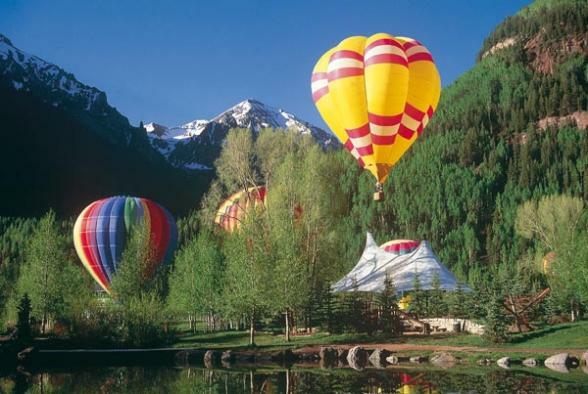 Golden, Colorado, the state’s first capital city, is today a great western town at the base of a mountain with huge buttes ringing the town. It’s also the home of Coors Beer. Today’s blend of western, southwestern, Hispanic, African American and Native American cultures makes Denver most interesting. In addition, it has more college graduates and babyboomers than any other city in America. The performing arts complex is the largest in the nation after Lincoln Centre. Although still very much a western mountain town, Denver is not actually located in the mountains. The foothills of the Rockies begin about 15 miles from downtown, spiking into the soaring 14,000 foot peaks of the Continental Divide a few miles beyond. Today you depart Denver for the UK, however your adventure doesn't have to end here. Perhaps you may want to extend your stay and contrast your tour with a stop off at New York city for some shopping and sightseeing? Or maybe take in more of America's magnificent landscape with a trip to Palm Springs. Call the travel experts at Bon Voyage to discuss your ideal Natural Wonders adventure.